Like many online-related things in gaming, Nintendo took their sweet time entering into the world of downloadable content, or as I'll shorten it to DLC for my own sanity's sake. Starting off, the company showed great promise in the way they were testing the waters. Nintendo has approached DLC in a multitude of different forms and ways. Some good, some bad, and some really undesirable. First off, Nintendo seemed to be doing all the right things with DLC with the Wii U. The three major games featuring DLC are Mario Kart 8, Hyrule Warriors, and Super Smash Bros. for Wii U. This trio of games offers tremendous value to the buyer already, but the added DLC only makes the packages all the more enticing. 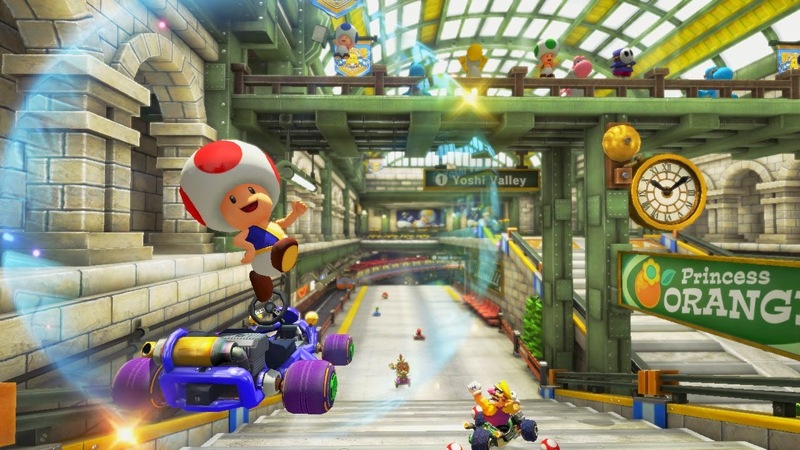 For instance, Mario Kart 8 owners are able to purchase one or both of the DLC packs, each featuring eight new tracks, three new characters, and three new vehicles. Buying both at the same time gives a discounted price that is cheaper than buying both separately, despite both packs not being out at the same time. In fact, the second DLC pack is set to release next week, offering eight more remixed and brand-new tracks into the equation. Thus, you're essentially buying another half of Mario Kart 8 for less than $15. That is one heck of a deal, especially since the actual content is so desirable. Moving onto Hyrule Warriors, Nintendo seems to have a great handle on making a compelling season pass if this Omega Force-developed title is anything to go by. Unlike Mario Kart 8, there is a staggering amount of content already on the disc that would make anyone who purchases it fulfilled without needing to fork over any extra cash. Though, don't get me wrong, what Mario Kart 8 has content-wise is nothing to honk one's horn at; it's just that any game compared to Hyrule Warriors' content would seem like slim pickings in comparison! 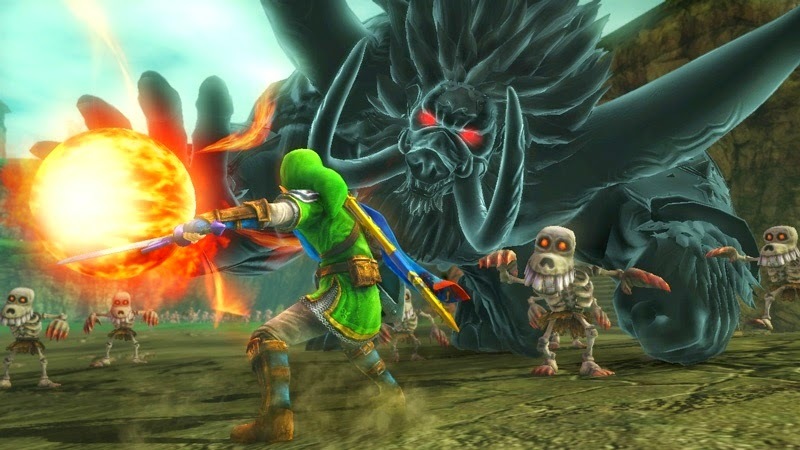 Hyrule Warriors was the gift that kept on giving to those who purchased the season pass. New characters which completely different strategies and play styles for players to learn, new adventure maps which allowed players even more fun completing each mission, and the brand-new weapons made for a game that could easily make players lose hundreds of hours of real life time, and I say that in a good way. Maybe not so much if you have an unhealthy addiction to playing video games, though. Finally, Super Smash Bros. for Wii U is the third game from Nintendo that I believe does DLC well. 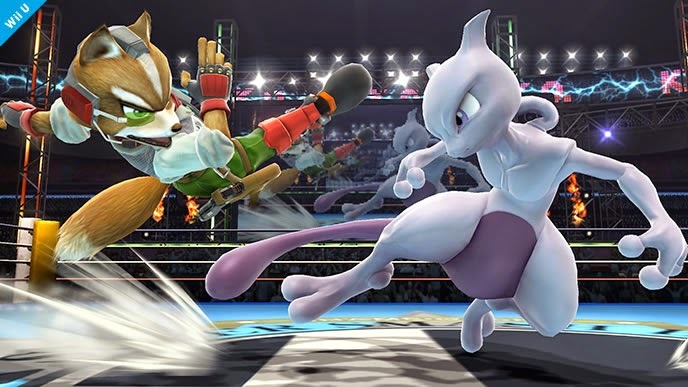 Recently (as in yesterday), the first of two announced DLC characters, Mewtwo, was released for people who purchased and registered on Club Nintendo both the Nintendo 3DS and Wii U copies of the newest Super Smash Bros. games. A lot of time and effort goes into creating a new character, as you can probably imagine. I mean, after all, there is balancing the new character against the entire roster, making the character work on all of the stages and with all of the items in the game. It's a lot of work, for sure. While Mewtwo will be available for purchase for everyone else later this month, another DLC character was announced at this past Nintendo Direct a couple of weeks ago, Lucas from the unlocalized Mother 3. This enables fans to purchase and play as these returning fighters for a fair price while not putting players who don't pay for them at any kind of disadvantage besides not having the coolness that is Mewtwo and Lucas in their personal roster of available characters. These three examples are good forms of DLC practice because they aren't already on the disc completely, they weren't held over from the base game to get people to pay more for cut content, and they were created long after the initial development of the base game was over. However, Nintendo started to slide into more, well, sleazy forms of what we can essentially also call DLC. It all began with one term-- amiibo. Many games recently released by Nintendo have features of the game locked away by an amiibo paywall-- that is, one needs an amiibo figure to unlock that content. Therefore, things like having a member of the Fire Emblem squad join you in Code Name: S.T.E.A.M. is locked behind not only owning a New Nintendo 3DS XL but also owning one of the amiibo figurines. The latter is more important factor to focus on. You're basically forced to buy a $12-$13 figure for something that could have been unlocked with a much cheaper DLC digital key. Speaking of keys, not only is the content already in the game itself, this expensive physical amiibo serves as the key to unlock this reward for players. 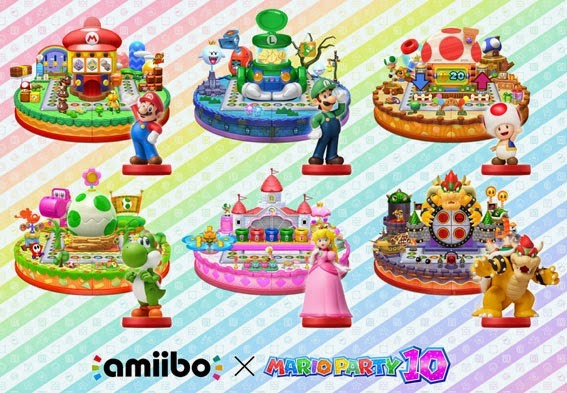 The most egregious (and this is where it starts to get ugly) example of hiding something behind an amiibo paywall is Mario Party 10's amiibo Party mode. To play this mode, at least one amiibo is required. This makes essentially one-third of Mario Party 10 locked away from players without an amiibo, and considered the price of amiibo, that makes a $50 investment turn into an over $60 one. That is pretty slimy to me. What's worse here is that a lot of the amiibo are too difficult to find. 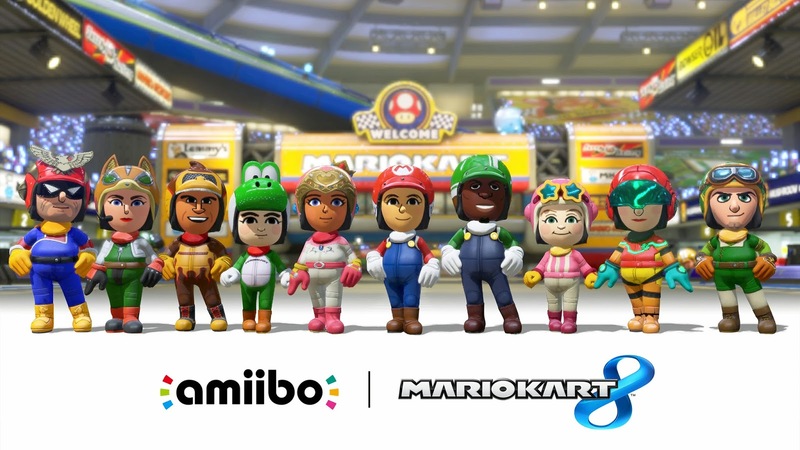 To get Mii costumes in Mario Kart 8, for instance, requires some of the rarer amiibo like Captain Falcon and Fox McCloud. Good luck getting those at a reasonable price, but even at the standard price of, again, $12-$13, it's a huge expense compared to just being able to go on the Nintendo eShop and just pay for a key to unlock all of the costumes yourself with a pain-free, scalper-free transaction. Things don't seem to be getting better with the amiibo front either. Wave 4 figure pre-orders sold out incredibly quick, new amiibo were announced for upcoming games like Splatoon and Yoshi's Woolly World (the former locking exclusive costumes and missions away from non-amiibo buyers), and the hope of restocking for most of the rarer amiibo seems hopeless. It's my wish that Nintendo leans more toward the good path of DLC (i.e. Mario Kart 8, Hyrule Warriors, and Super Smash Bros.) rather than the amiibo route. Sadly, as the figures continually sell out and are in great demand, these make Nintendo a lot of money. 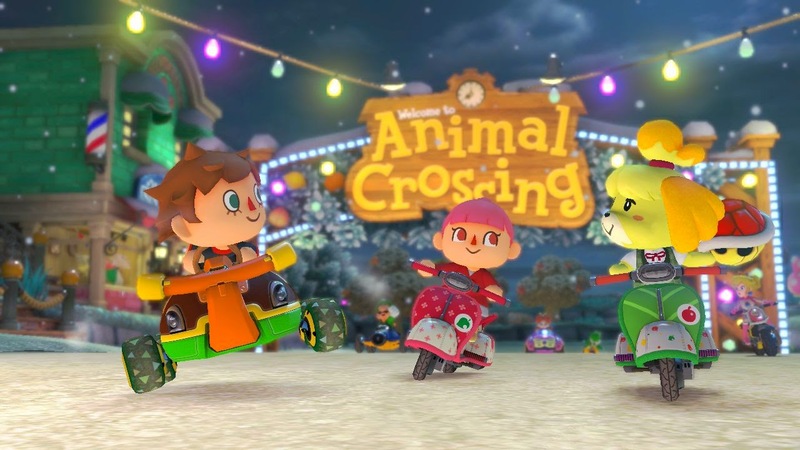 In turn, this reinforces Nintendo's desire to go the amiibo route with adding optional, but usually much desired content to its future lineup of software. Seeing my disgust with trying to even find amiibo figures or make pre-orders, if this were a card game (funnily enough Nintendo wants to make a line of card-based amiibo), I'd definitely say "deal me out."